It almost sounds like an oxymoron, doesn’t it? Italy is one of my favorite places in the world, but after I went vegetarian and then vegan, I thought my days of visiting this beautiful country with all its rich (and often animal-based) food culture were over. Turns out I was wrong: there’s a part of Italy that traditionally eats a largely plant-based diet, still with some meat and cheese but with many, many dishes made from only plants. 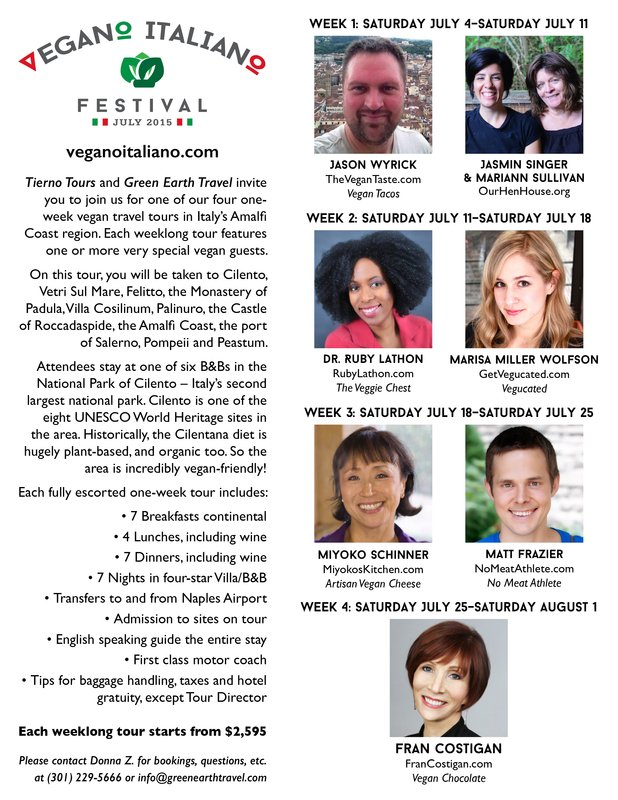 My wife, Erin, and I just got back from 10 days in Cilento, where I was a guest co-host (along with vegan cheese specialist Miyoko Schinner) on the Vegano Italiano tour. In this episode of No Meat Athlete Radio, Erin and I recap this amazing trip and talk about what is without a doubt in our minds the best way to visit Italy as a vegan. PS — I apologize that the audio quality of this episode isn’t nearly as good as it usually is. We recorded this episode from the road, rather than our normal setup, and in future episodes the quality should return to normal.